Score the squid well, this will help with tenderizing and curling up when cooking. If you don’t have a deep fryer you can use ½ cup of oil and a wok for the 1st fry, but just be careful using that amount of hot oil. Dry off the squid then dust in the corn flour, shake off any excess then deep-fry at 180 degrees for 30-40 seconds until crispy. Drain well on a paper towel. Heat a little olive oil in a pan and add in chilli, when fragrant, add in the squid. Season with sea salt, Szechuan pepper and lime zest. Combine the lemon juice and mayonnaise. 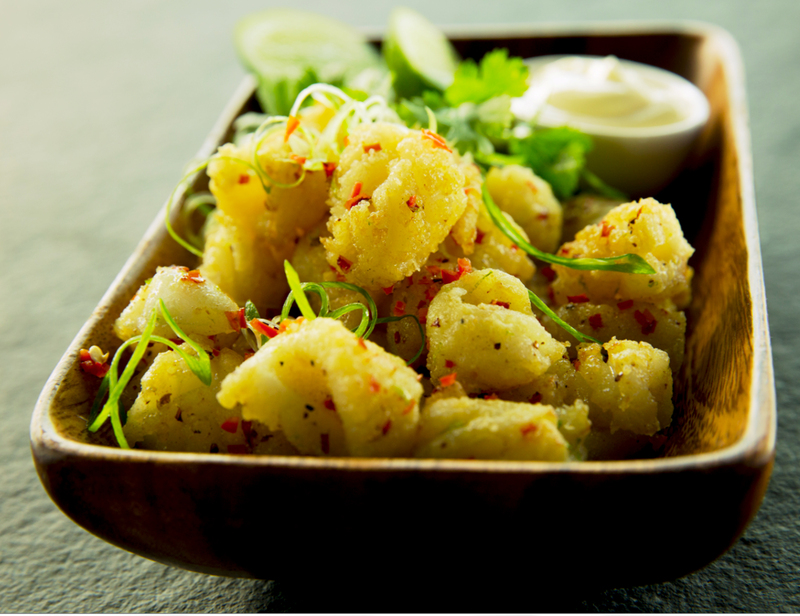 Serve on the side with lime wedges and fresh coriander.